As covered in our previous bulletin, Party General Secretary Nguyen Phu Trong held talks with Japan’s Prime Minister Shinzo Abe on Tuesday. 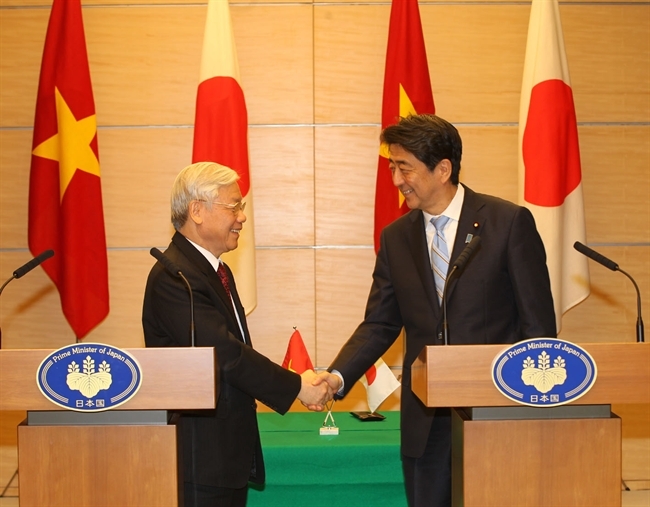 After this meeting, the two sides have adopted a Joint Vision Statement on Vietnam – Japan Relations. 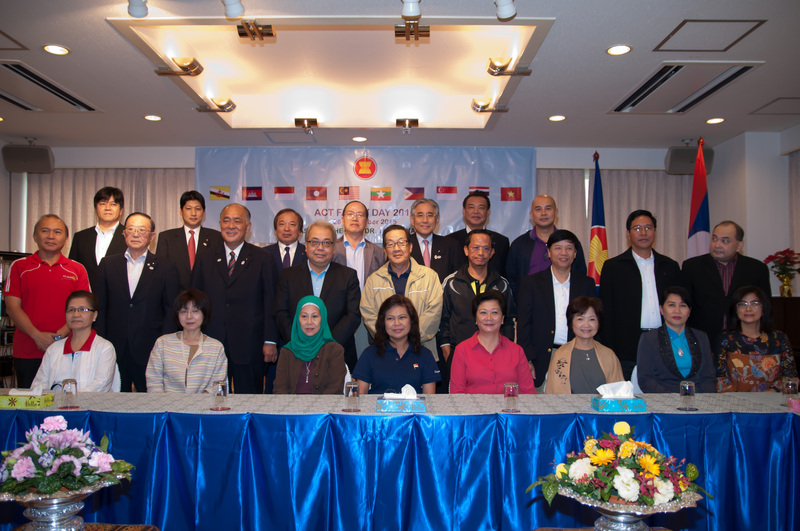 The ASEAN Family Day 2015 was held at the Embassy of the Lao People’s Democratic Republic in Japan on September 26 with a view to fortifying traditional friendship and collaboration between nations in the bloc as well as with the host country. The Viet Nam Festa in Kanagawa launched in Yokohama City of Kanagawa Prefecture, Japan on September 18, as part of efforts by the Japanese hosts to promote Vietnam’s culture, arts, music, fashion and cuisine. Activities in Kanagawa Prefecture had been one of the topics in high level talks between Viet Nam- Japan. 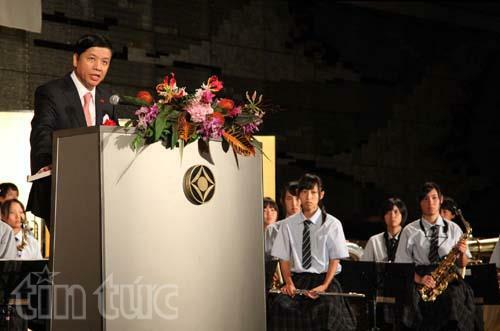 Headline: Trusted partners Standfirst: Ambassador of Vietnam to Japan, H.E. 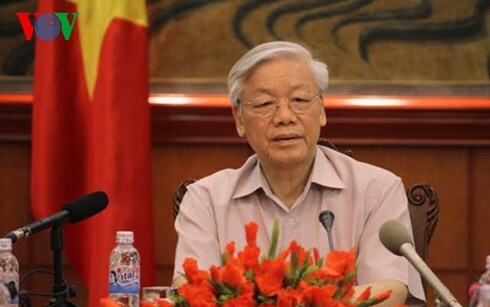 Nguyen Quoc Cuong, shares his thoughts on relations between the two countries with Viet Nam Economic Times’ reporter Linh San. How do you view the relationship between Vietnam and Japan over recent years? The two countries are enjoying a better-than-ever relationship. 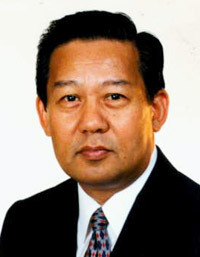 REMARKS BY H.E. AMBASSADOR NGUYEN QUOC CUONG AT THE RECEPTION IN CELEBRATION 70TH ANNIVERSARY OF VIET NAM NATIONAL DAY (Tokyo, 01/9/2015) Ladies and Gentlemen, It is my great pleasure and honor to warmly welcome all of you here today to celebrate the 70th anniversary of Vietnam’s Independence Day. CHAIRMAN OF THE LOWER HOUSE BUDGET COMMITTEE AND CHAIRMAN OF THE JAPAN-VIETNAM PARLIAMENTARY FRIENDSHIP ALLIANCE, H.E. MR.
Celebration of 70th anniversary of the National Day of the S.R. 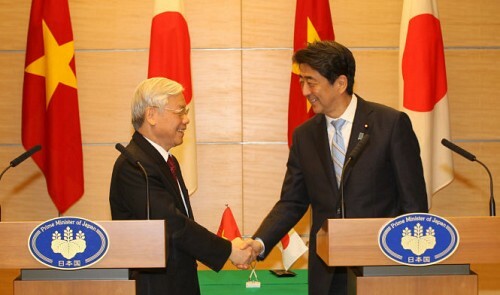 of Viet Nam A belief in the future of Viet Nam – Japan extensive strategic partnership H.E Mr.